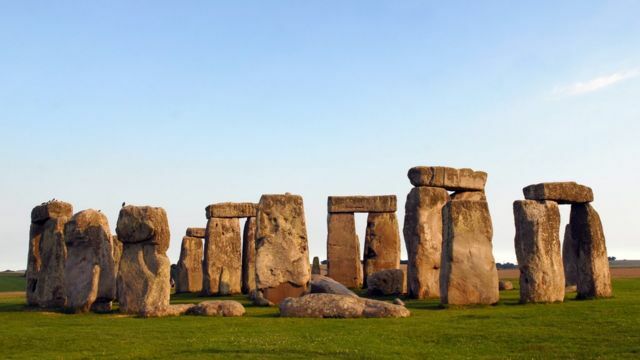 Stonehenge 'must be protected' Jump to media player Conservative MP John Glen and Ralph Smyth from the Campaign to Protect Rural England on planned tunnel at Stonehenge. £15bn to be spent on road schemes Jump to media player A tunnel on a busy route at Stonehenge is among dozens of new road plans to be announced by the government, as part of a £15bn "roads revolution" for England. 'New roads will rebalance economy' Jump to media player The Deputy Prime Minister Nick Clegg has told the BBC that plans to build new road will be important in rebalancing the economy. Will new road change Stonehenge? Jump to media player The BBC's transport correspondent Richard Westcott walks among the stones of Stonehenge to gauge how plans to build new roads will change the surroundings. A tunnel is to be dug to take a congested main road past Stonehenge, the government has announced. The 1.8-mile (2.9km) tunnel is part of a £2bn plan to make the A303 a dual carriageway. Conservative MP John Glen told Today programme's Sarah Montague: "English Heritage and National Trust have said that it will have a beneficial impact on the World Heritage Site as a whole." However, the road scheme faces criticism from the Campaign to Protect Rural England. Spokesperson Ralph Smyth called for a longer tunnel "that would protect the whole of the World Heritage Site, rather than duck in and duck out in that protected landscape." First broadcast on BBC Radio 4's Today programme on Monday 1 December.